When we can provide the whole package, that's a win-win for all. Being Realtors® and home loan officers, we can keep everything in-house and everyone on the same page. I can't tell you beneficial that is when buying and selling simultaneously. When you need to sell your current house and buy a new one all at the same time, it can be very frantic as time frames must be exact, communication must be timely, and everyone needs to be on the same page. This is how we do it. When you have an in-house team to help with your mortgage on the new house and a real estate team that knows both transactions, there is little to no confusion for everyone involved. In this case, we helped this family sell their current home and buy another, all at the same time. When a bridge mortgage isn't an option and families need to go from one house to another without renting in between, you need a team that is on the ball and quick to respond. We helped this family negotiate the best terms for their current sale, and helped them write up a solid offer that got accepted so that they could transition from one home to another without a hitch. 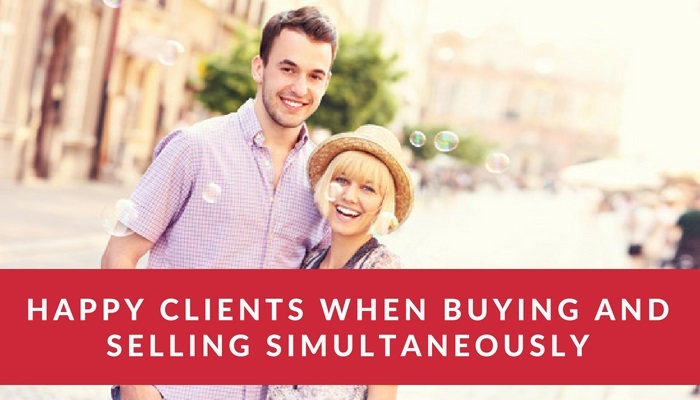 It takes communication between all agents because the buyer of their home had their own agent and the seller of the home they bought had their own agent. So not only are we communicating with buyers and sellers but 2 other agents as well. This can be very overwhelming for the client but with proper communication, explanations, and patience, we were able to facilitate the deal flawlessly. Ready to buy or sell in the Palm Desert area? We can do it all and we can help you do both at the same time. Give us a call!